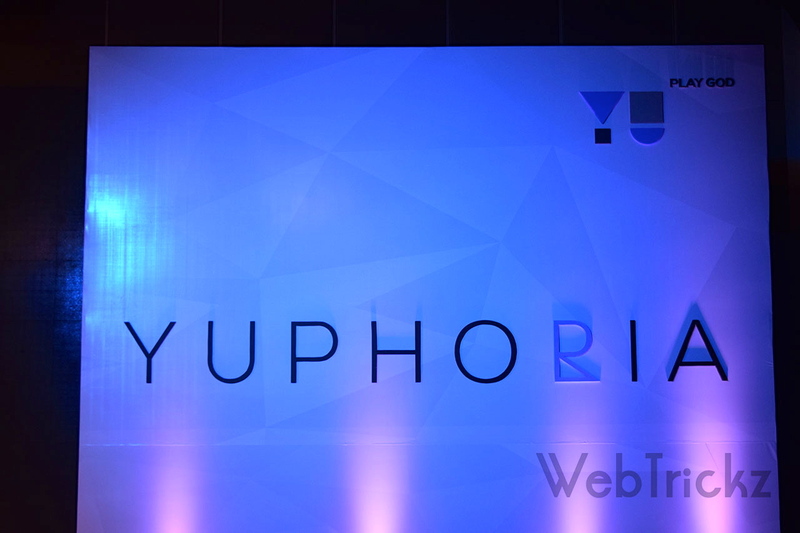 At an event in New Delhi yesterday, YU Televentures launched the much-awaited smartphone “The YU Yuphoria” at an aggressive pricing of Rs. 6,999. Though most were expecting the upcoming Yuphoria to be an upgrade and successor of Yureka, it rather turned out to be an entry-level phone apparently introduced to make wonders in low-range price segment and compete with the likes of Xiaomi Redmi 2 and Lenovo A6000 Plus. 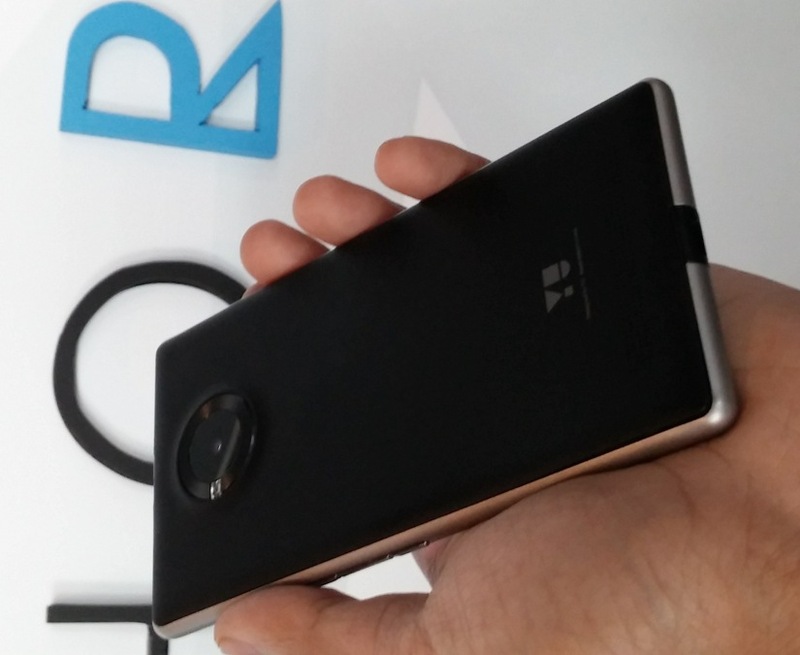 We got our hands on the device at its launch event and hence will be sharing our hands-on impressions with YU Yuphoria. [dropcap]Y[/dropcap]uphoria (YU5010) sports a 5-inch display, an ideal screen size that makes the phone comfortable to hold and convenient for one-handed usage. 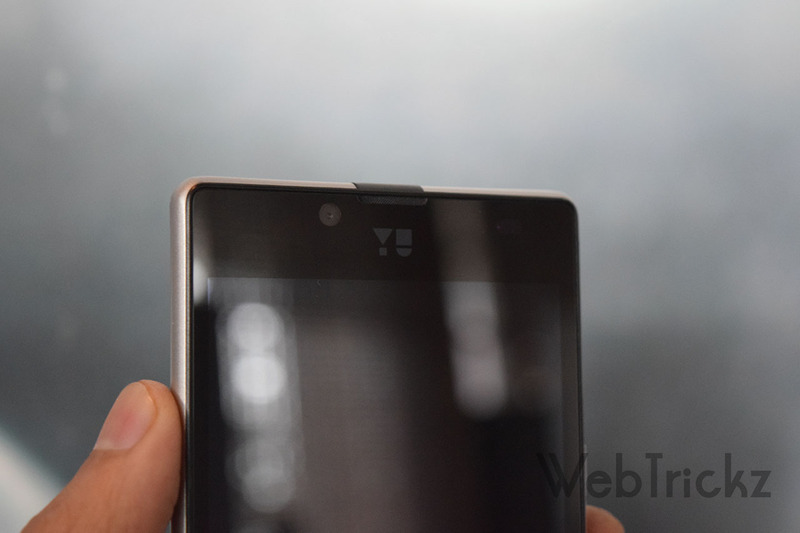 Unlike Yureka, the Yuphoria features a much better design language as it’s surrounded by a metal frame with rounded corners and curved edges. This indeed gives the phone a premium look and feel that one usually doesn’t expects with entry-level phones. The removable back cover is made up of polycarbonate with a rubbery matte finish for better grip. There are two black color plastic bands at the mid top and bottom that holds the 3.5mm audio jack and the micro-USB port in place. The bands quite degrade the overall look of the device but they’re added for a purpose, supposedly they act as an antenna. On the right-side of the phone, there is a 3-element metal key that houses a long power key in middle of the volume rocker keys which is interesting. 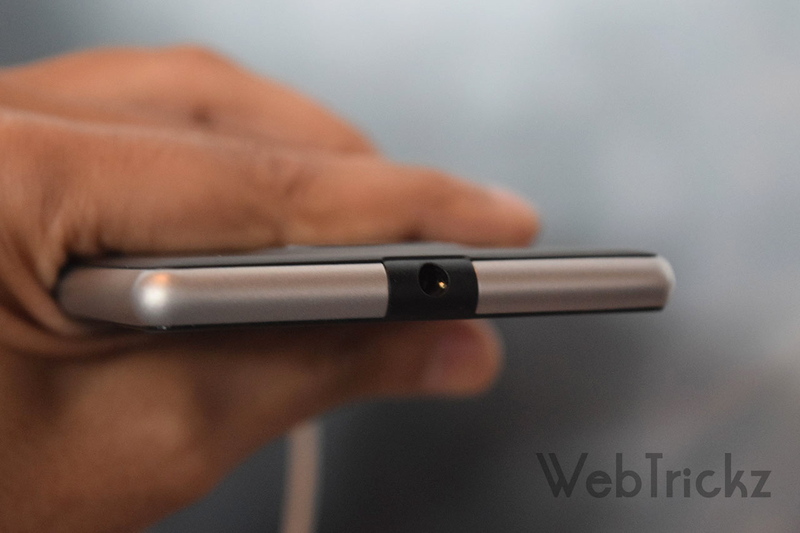 The back portion of Yuphoria looks a quite weird, blame the huge camera glass with a metal textured ring around it that holds the LED flash and secondary microphone. 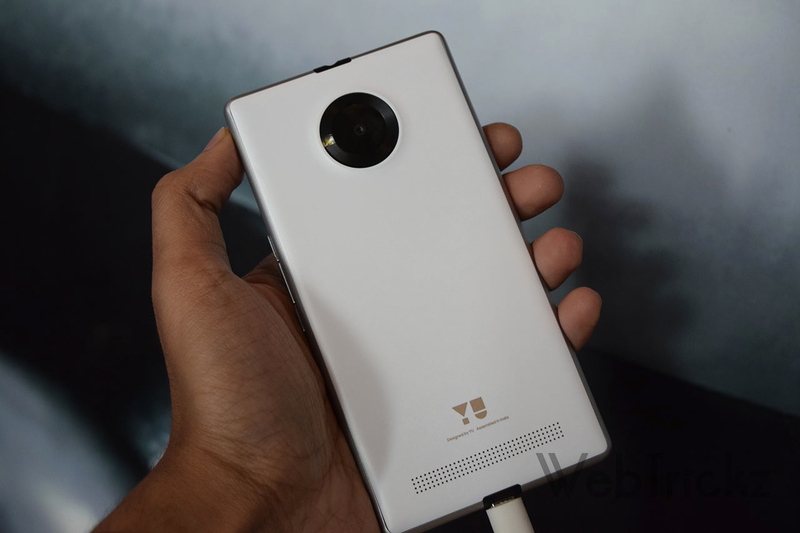 Moreover, the rear design of Yuphoria highly resembles the Lumia 830 and the curved metallic sides are much identical to the Lumia 925 and Sony Xperia Z3. On the rear bottom is the YU branding (says ‘Designed by YU Assembled in India’) and below that is the loudspeaker grill. Popping out the back cover reveals the removable 2230mAh battery, microSD card slot (for storage expansion upto 32GB) and two SIM card slots that accepts micro-SIM. The 5″ HD display on the device looks sharp, bright and is protected by Corning Gorilla Glass 3. Like other competitor phones, Yuphoria is powered by Snapdragon 410 (64-bit) Quad-core processor clocked at 1.2GHz and Adreno 306 GPU. 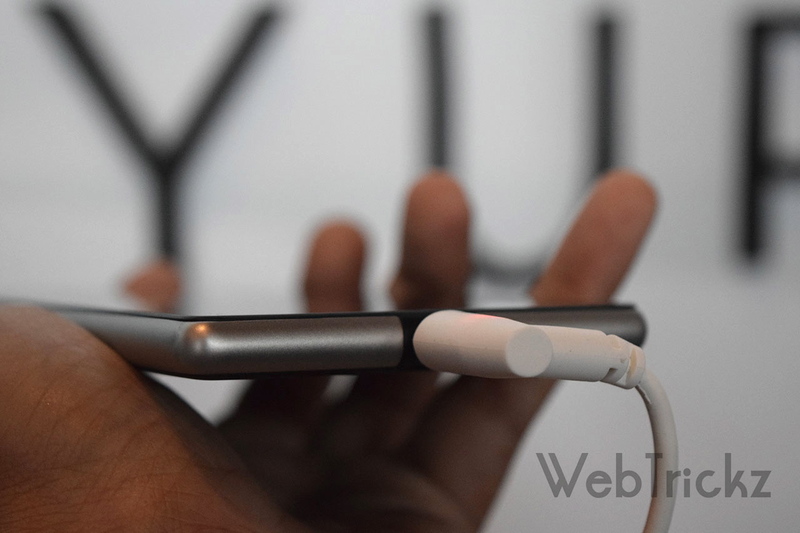 The device packs 2GB RAM and 16GB of onboard storage which is the certainly the best offering at 7k that you can get! The rear camera is a 8MP one with autofocus and supports 1080p video recording along with slo-mo recording. 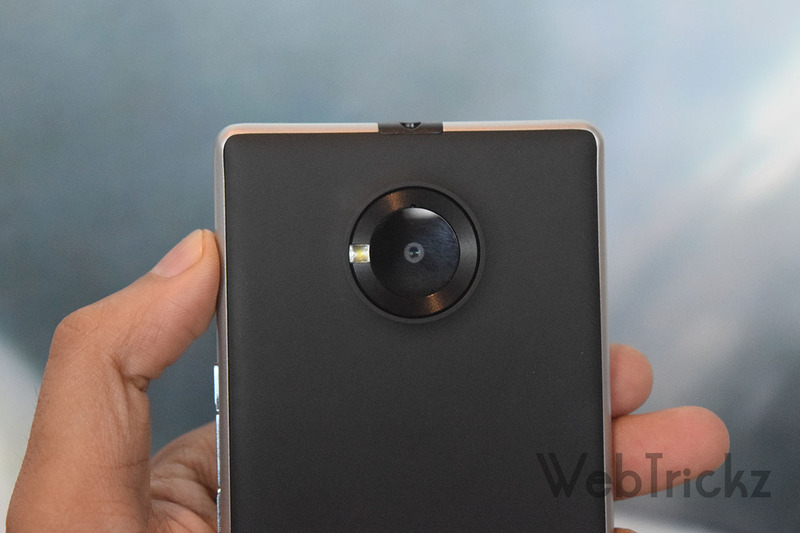 The front-facing 5MP camera with wide angle lens is an impressive one with snappy performance. Connectivity options include: 3G, 4G LTE, Wi-Fi 802.11b/g/n, Bluetooth 4.0, GPS, Dual-SIM, etc. 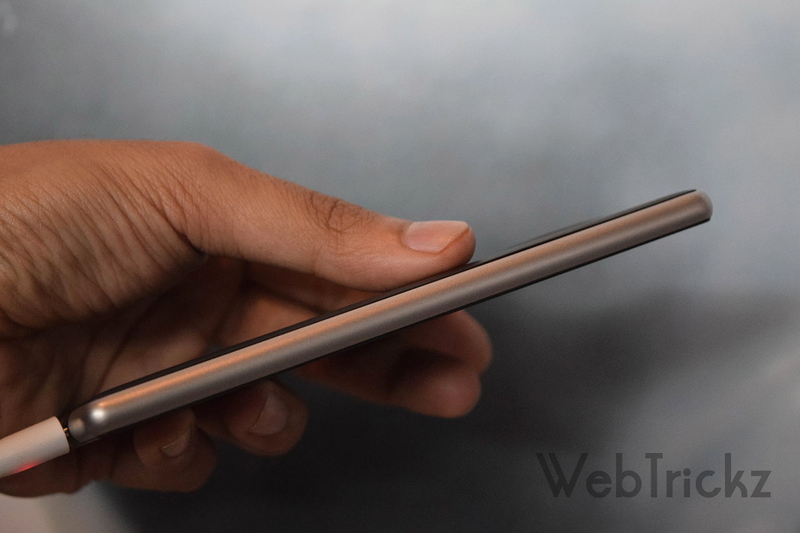 The phone weighs 143g with battery and is 8.25mm thick with a screen to body ratio of 67.1%. 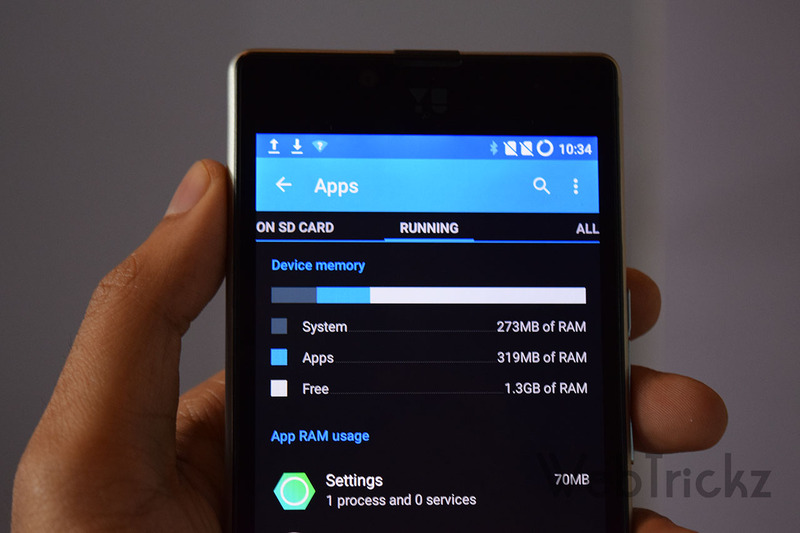 Software (OS) is the crucial and most interesting aspect of Yuphoria as it comes with Cyanogen OS 12 (based off Android Lollipop 5.0.2) out of the box. 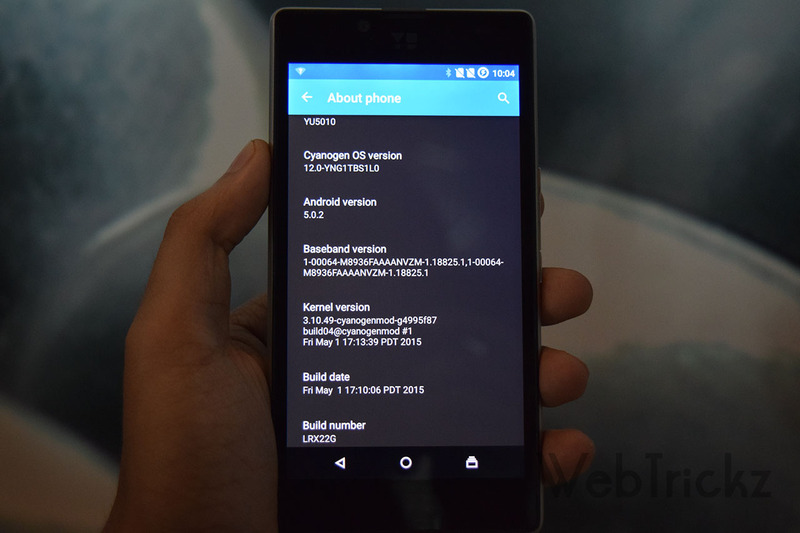 The CM12 on Yuphoria comes with several new elements and customizations implemented specifically for YU devices. 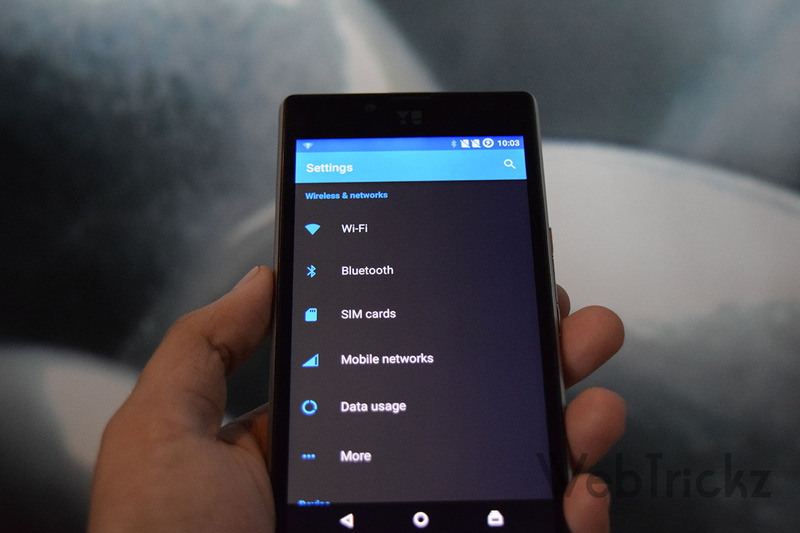 The OS comes with a new App Themer and Truecaller app is integrated within the dialer. 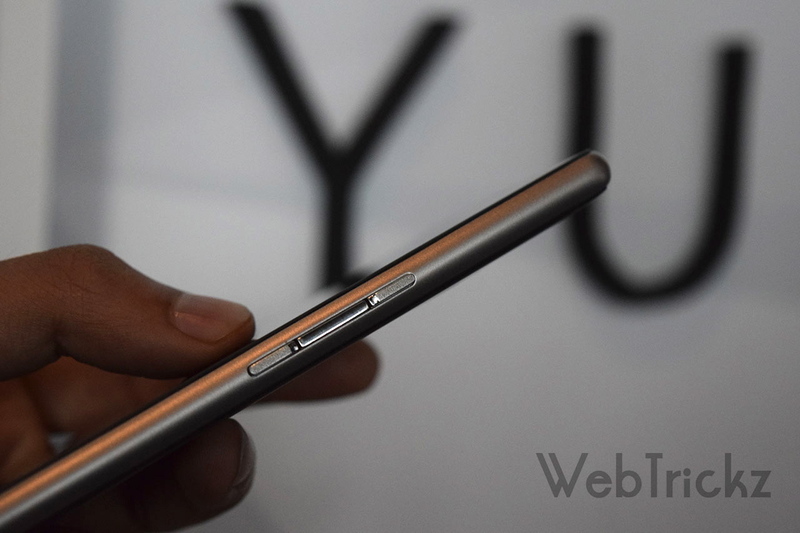 It’s unclear if Yuphoria features hardware capacitive buttons as well besides the on-screen keys. We couldn’t find it active on any of the demo units and there was no software settings to enable the same as well. The OTG functionality didn’t worked either but we were told that the device does supports OTG but wasn’t working on the current firmware. Will surely confirm and clear the confusion about OTG and physical buttons later. For those interested, the apps can be moved to SD card. 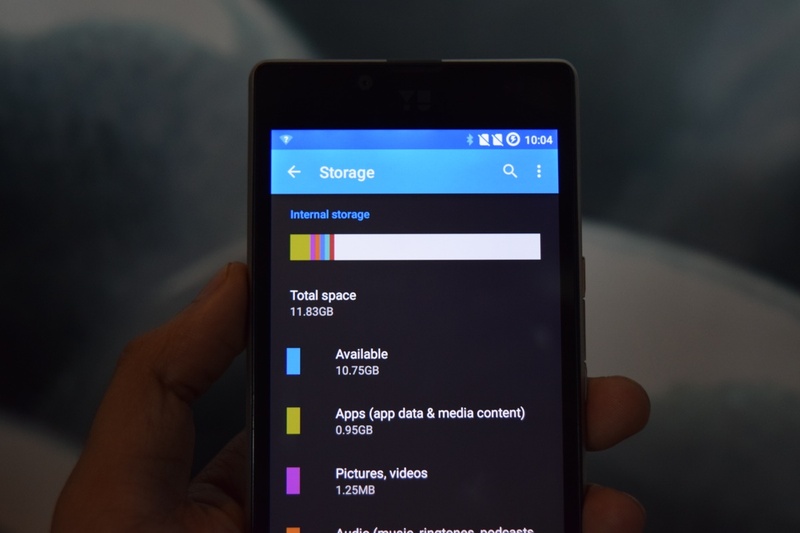 Out of 16GB storage, around 11.5GB of space is available for the user. Of 2GB RAM, we got 1.3 GB of free RAM after closing all the recent apps which is pretty decent. 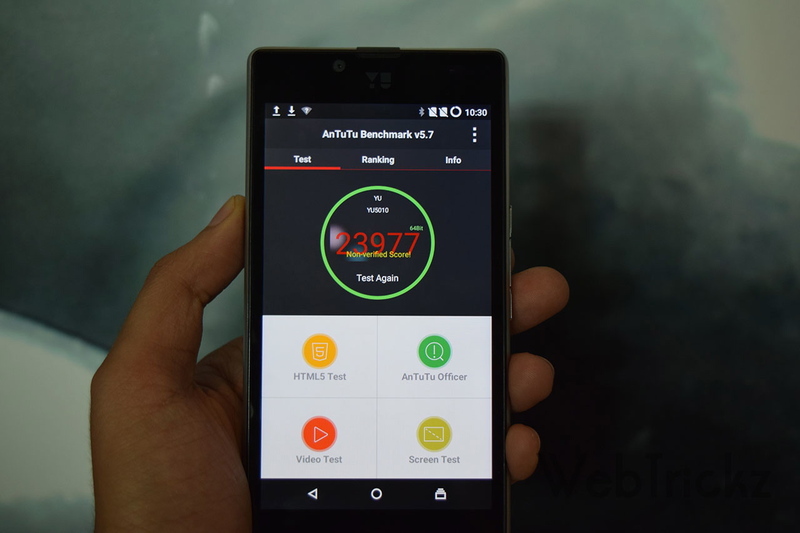 In our Antutu Benchmark 64-bit test, the device clocked a 23977 score. Inspite of being a 5″ easy-to-hold device, Yuphoria comes with smart features like ‘Double tap to wake’ and ‘Double tap to sleep’. This will of course come handy to most users. 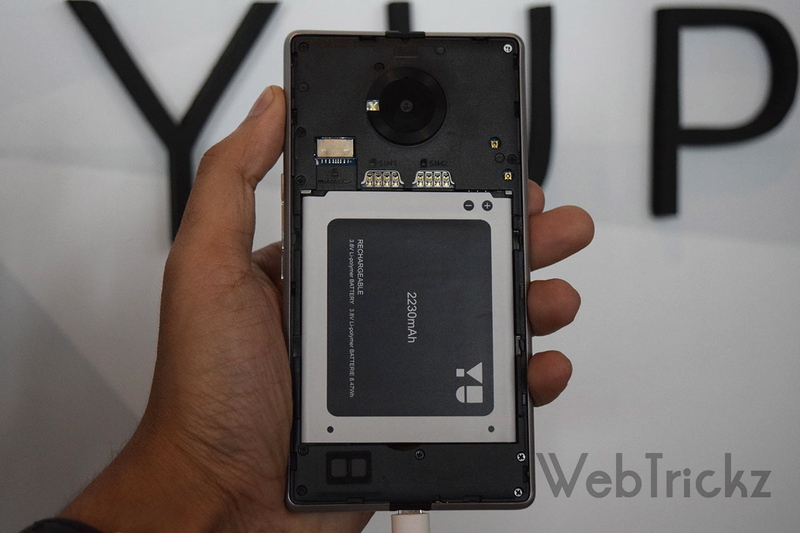 Considering our initial impressions which are mostly on the positive note, it’s certain that Yuphoria is a promising device packing much goodness at an affordable price of Rs. 6,999. 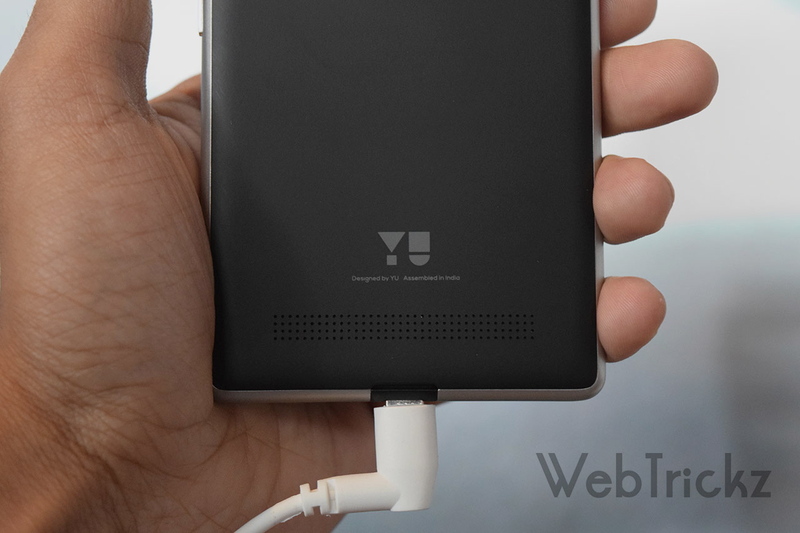 This new comer from YU clearly outshines the Redmi 2, thanks to its premium build quality, bigger 5″ screen, 2GB RAM and 16GB storage. 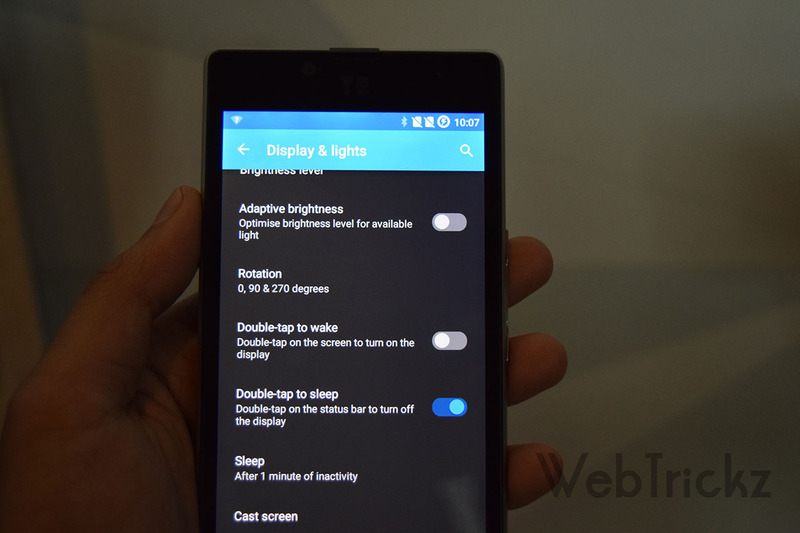 Whereas the Lenovo A6000 Plus, that offers similar specs at Rs. 500 more won’t be much affected by its introduction but then most people might be inclined towards the presence of Cyanogen OS on Yuphoria. We’ve to wait and see how it turns out for YU. The only gripe is that Yuphoria will be also sold through flash sales exclusively on Amazon.in which makes it buying a tedious job. We’ll try to come up with a detailed review of this device, thereby covering all the aspects. Do let us know your views in the comments section below! 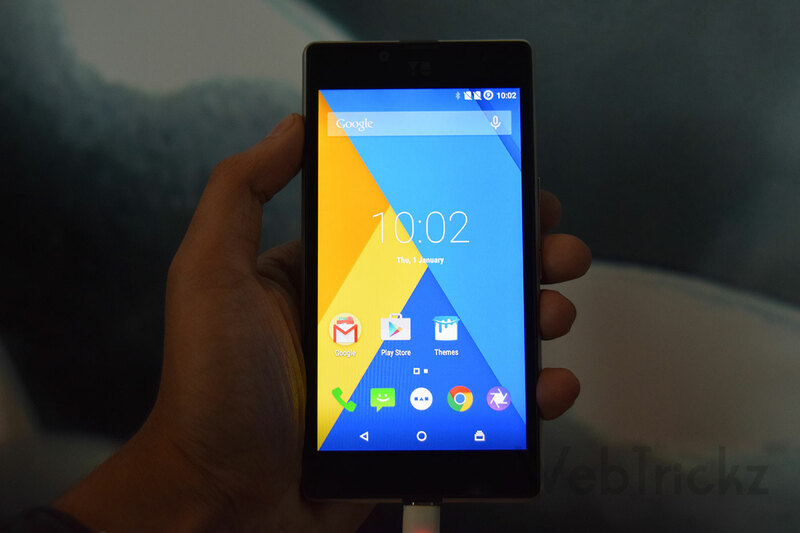 Register at amazon.in/yuphoria for its sale on 28th May. 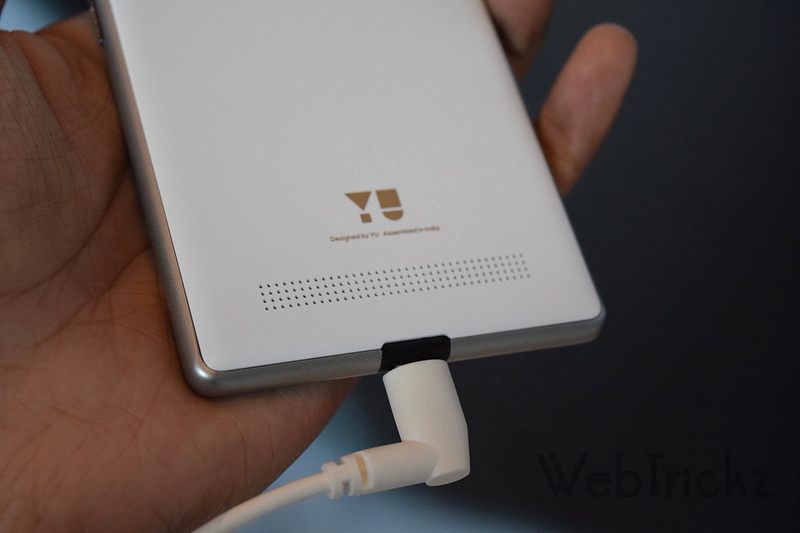 Next story OnePlus Power Bank – Review & Giveaway of a well designed performer.